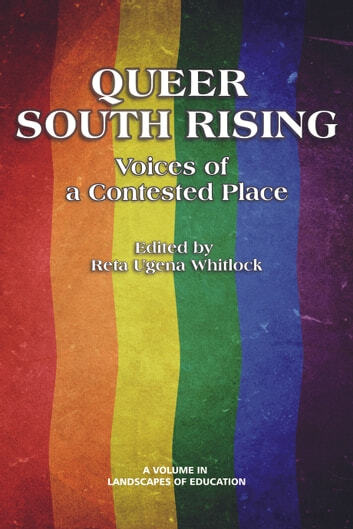 Queer South Rising: Voices of a Contested Place is a collection of essays about the South by people who identify as both Southern and queer. The collection’s name hints at the provocative nature of its contents: placing Queer and South sidebyside challenges readers to think about each word differently. The idea that a queer South might rise undermines the Battle Cry of “The South’s Gonna rise Again!” embedded in the collective memory of a conservative South. This rising does not refer to a kind of Enlightenment transcendence where the region achieves some sort of distinctive prominence. It suggests instead ruptures, like furrows in a plowed field where seeds are sown. The rising Whitlock envisions is akin to breaking and turning over meanings of Southern place. The title further serves to remind readers of the complexities of the place as it calls into question notions of a universal, homogenous LGBT, queer, identity. Queer South Rising is the first truly interdisciplinary collection of essays on the South and queerness that deliberately aims for multiple approaches to the topics. This collection is intended for a wide audience of “regular” folks. Essays explore multiple intersections of Southern place—religion, politics, sexuality, race, education—that transcend regional boundaries. 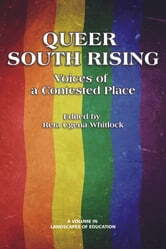 This book counters conventional scholarly texts; it invites all readers interested in the South and queer themes to engage with the narratives it holds—and perhaps question their assumptions. Whitlock has sought, in collecting these essays, to seek out a diverse group of authors—across disciplines, professions, and interests—to shatter perceptions about a nostalgic, romanticized Southern culture in general. What Does it Mean to be White in America?